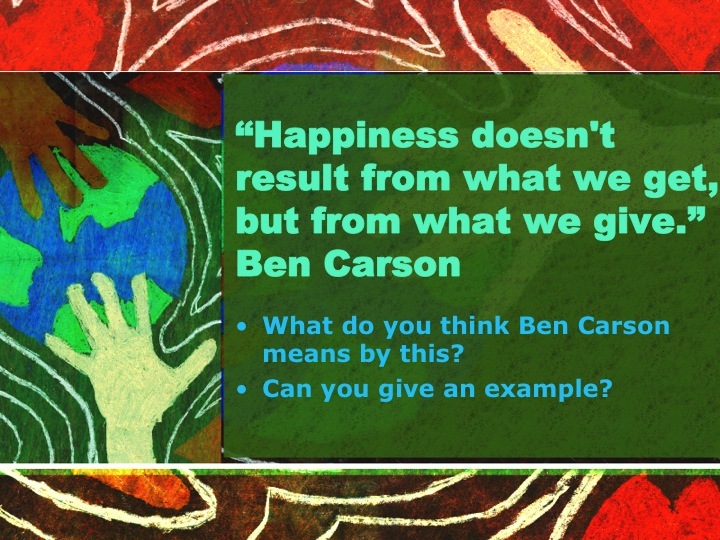 Thought for the week: Happiness doesn’t result from what we get but from what we give. Previous Post Thought for the week: Does waiting for something make it more exciting? Give reasons/examples. Every 6 months – 1 year, Silas gives all his old (but clean) Toys away to charity. He also helps to collect his sisters clothes and send to a Premature Baby Charity. We get a great sense of achievement by doing this….and seeing the children smile when they receive the items. Every year Silas gives his old, but clean toys away to a mother and baby unit. We also bag up some of his sisters old clothes and give to a premature baby charity. I tend to give a lot of items away, such as old but working washing machines, bikes, lamps, etc to charities or centres for the Homeless or young parents. We all get a feeling of gratitude when we see the faces on the children and parents. That’s all we need. Like Silas, if you give something you don’t need to a good cause, it can make someone who does need it very grateful. Also, if you give a present to someone, they are very thankful, through that one thank you, you could be a very happy person. We shall be greatful and thankful for what we recive but don’t get upset if you don’t get what you want .